Compendium. 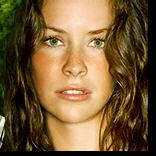 I'm in good company with many of the other renowned bloggers from LOST's heyday! 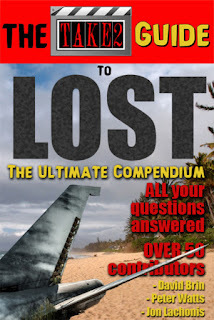 If you're watching LOST for the first time, watched awhile ago but want to relive some of LOST's glory days, want to have an archived version of some old web material for posterity, or just give a little nod of appreciation to the writers that kept you entertained for 6 years (and beyond) I encourage you to check it out. And of course, pass the word on to any friends or family that might be interested. The book is $9.99 through the main e-book providers (Amazon, Google, iTunes, Nook, Kobo, etc...). The Press Release is included after the jump for additional information about the book. But, first I wanted to thank everyone again for your readership over the years. It's been a fun extracurricular venture and it's nice to see that some of the work has an extended shelf-life! Hope everyone is doing well. Hello LOSTIES! I just wanted to let you know that I have posted my first recap on the TV Addicts Blog for The Event. I definitely enjoyed the pilot and look forward to its potential! Fringe will get the recap treatment later this week as well. And I plan to comment on a variety of other shows as they air so that we can discuss them. Come check it out, follow me on twitter and sign up for email updates on the new site so you don't fall out of touch! Thanks for your continued readership as always! NAMASTE! Hello LOSTIES! 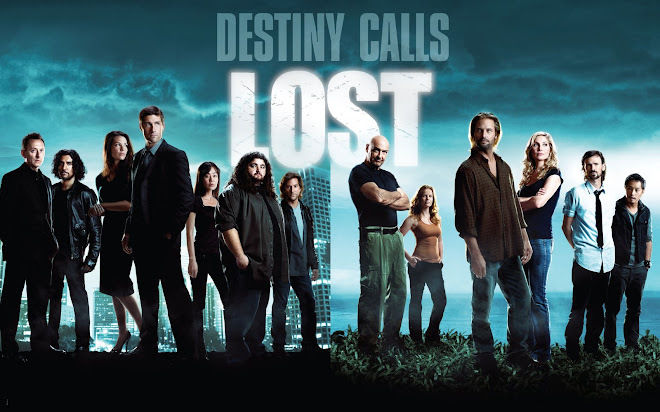 Hard to believe it has only been a little less than 2 months since LOST rocked our world (or totally destroyed depending who you talk to) with the fabulous series finale! This is not going to be a long post, but I wanted to give anyone who is still checking out the blog a new COMMENTING section. Lesson learned, after 600 comments, it gets really frustrating to check them! But, while I'm here I figured I would post about a few things! 8/4 Updated - I have embedded a teaser clip from the Epilogue on the Season 6 and Complete Series DVD/Blu-Ray Sets! Hello LOSTIES!!!! You must excuse me, I am still wiping the tears away from an incredibly emotional 2.5 hour experience! What an episode, what a conclusion! The feelings for this episode will, no doubt, be all over the map. The conclusion to the Sideways Timeline will be the cause for much debate about the whole point of the entire series. From this blogger's perspective though, I can not think of a more fitting end to the show that captured our imagination for 6 years. There is only one way to definitively END a story. They need to show us the very "END"! And folks, that's exactly what we got! I will try to weigh in on my opinions throughout the recap of that very point. But clearly, things are being interpreted in different ways. And I am guessing this is by design! The significance of the end will not escape me, but there is a significance in this blog posting at the same time. This is my final LOST recap (do I detect some tears out there? There are some right here!). An era is about to end. And while this blog is not going anywhere and I will be posting things in the future, there will not be a new hour of LOST to discuss. So, this may be a bit emotional for all of us. But we're going to get through it! I will save my thanks and goodbyes for the end. 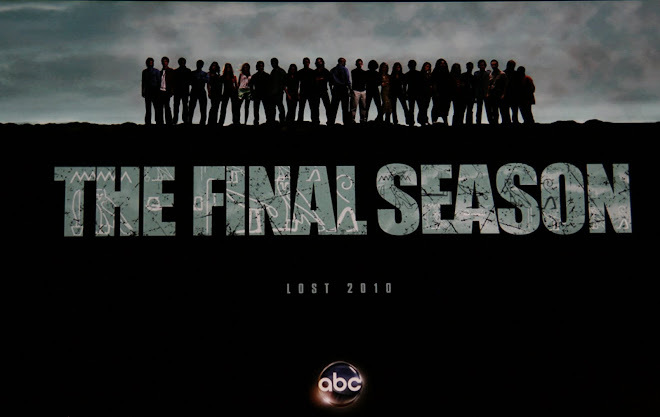 For now, I have to say that this final episode of LOST was one great THRILL of a ride! I was on the edge of my seat, I was crying, I feel like I need to go buy something at Target (man how many commercials were there? Can't believe I decided to watch LIVE! The LOST-Inspired Target commercials were very funny though), and of course there was enough intrigue in the episode to leave us talking for days, weeks, months, years! I cannot help but give this episode a major WOW WOW WOW WOW WOW!!!!!!!!!!!! And my entire LOST experience one giant SUPER WOW!!!! I dread this folks, but it's time to get to the next paragraph! Hey guys, obviously this recap is going to take awhile, so I wanted to give you the opportunity to start discussing your reactions to the episode. I'm not going to be able to respond to anything here because I'll be busy writing! I may chime in here and there but it will only delay the recap! So enjoy and I'll get the recap up probably late in the morning. Okay, so it went up at 3:30 pm! I'm sorry!! Here's the link. See you then!